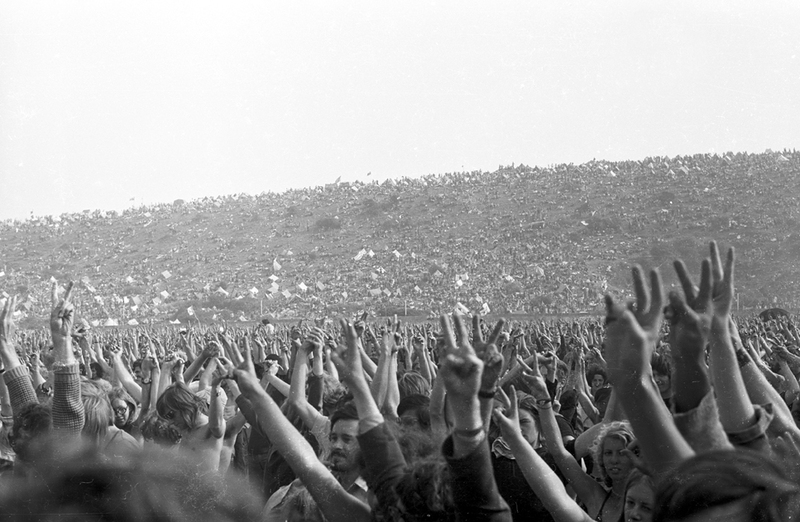 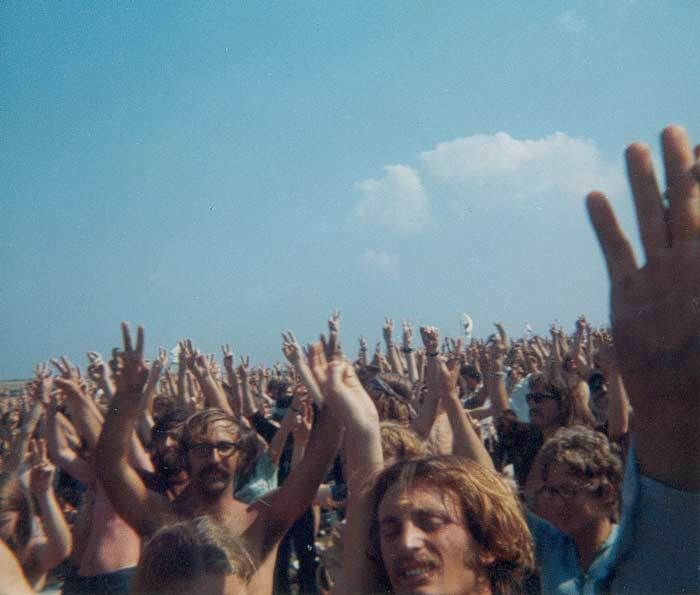 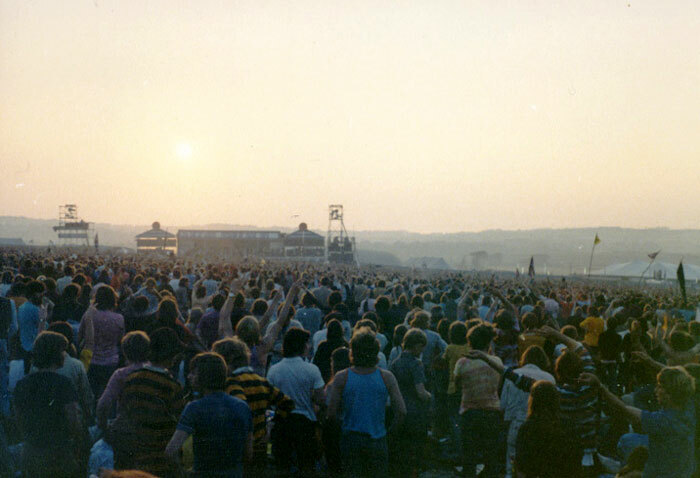 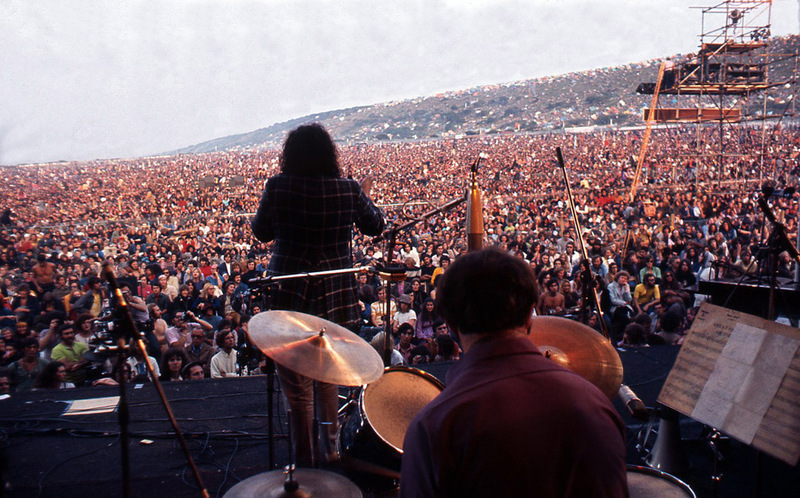 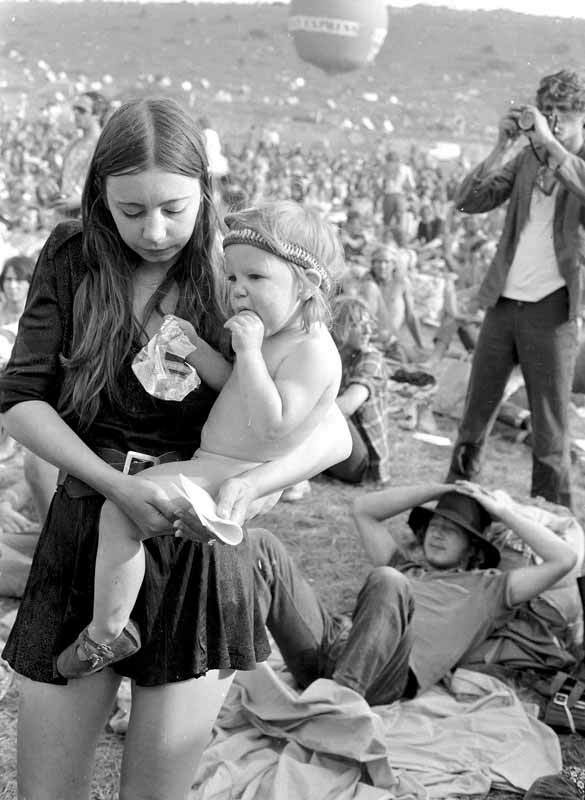 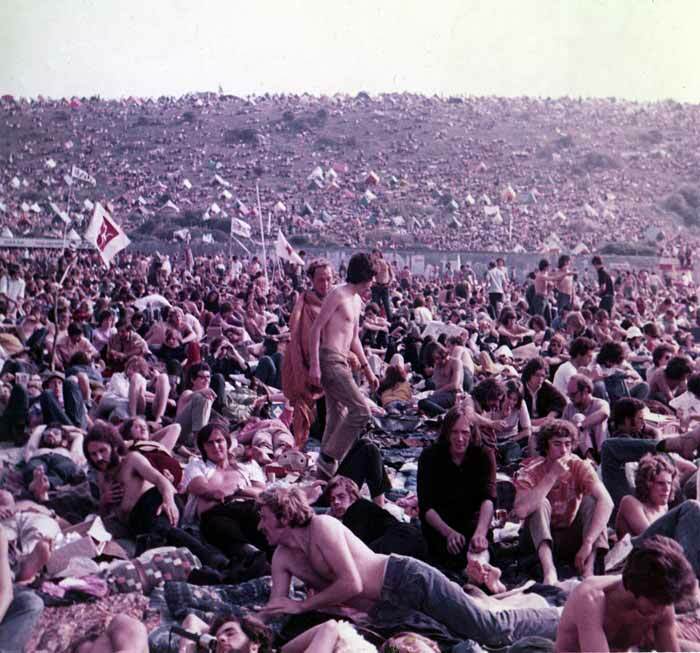 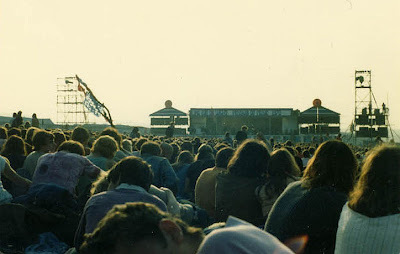 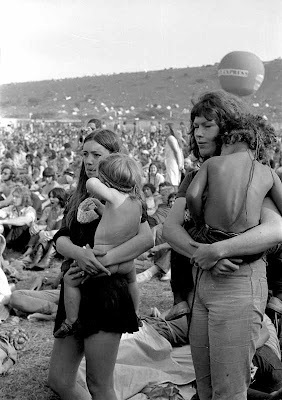 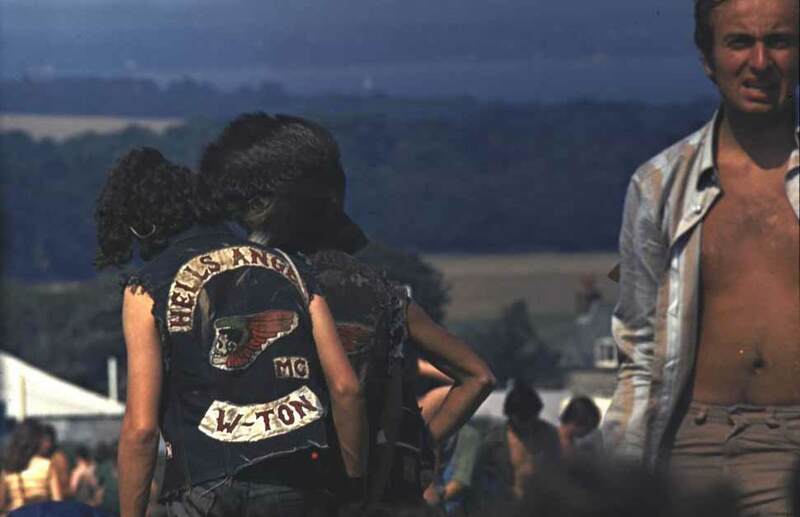 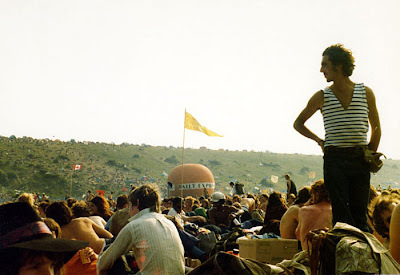 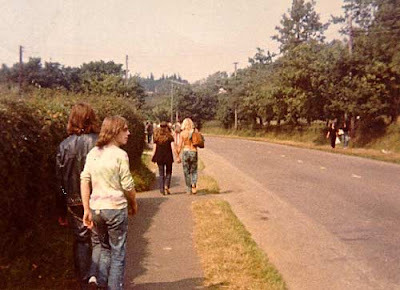 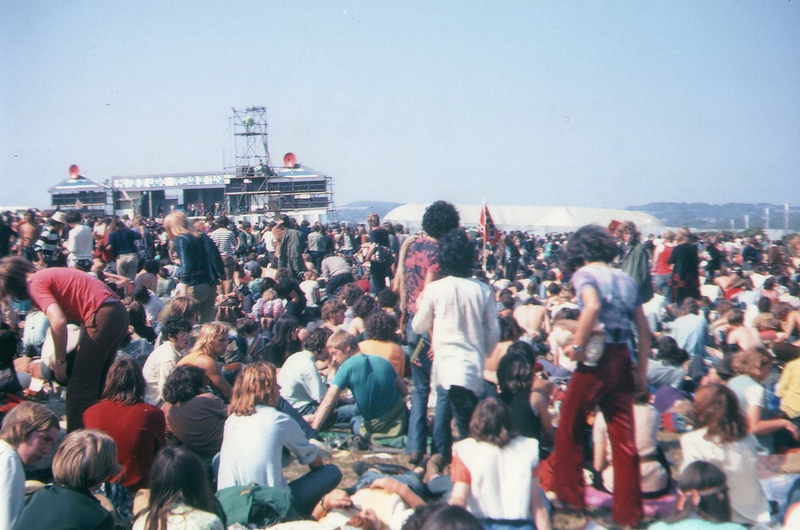 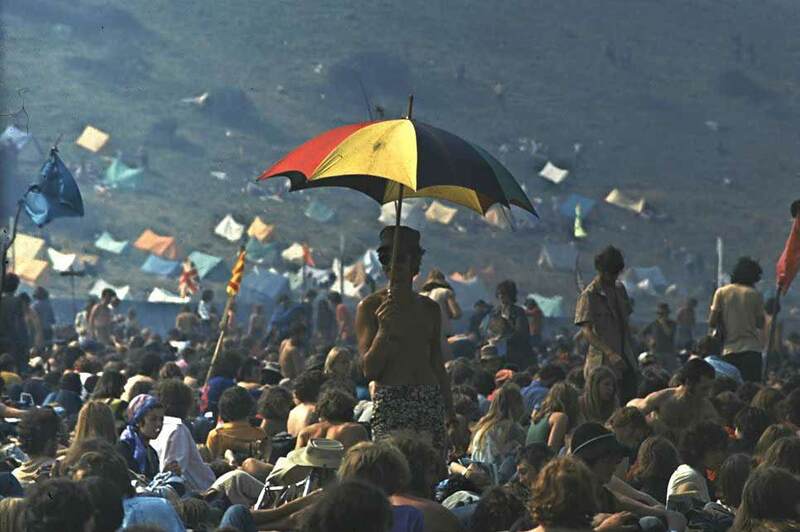 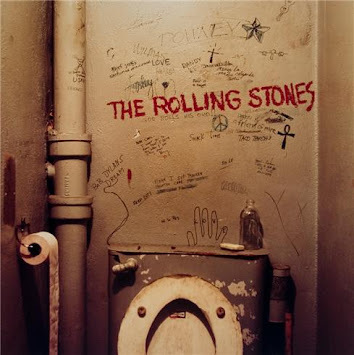 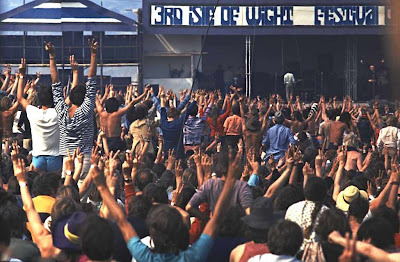 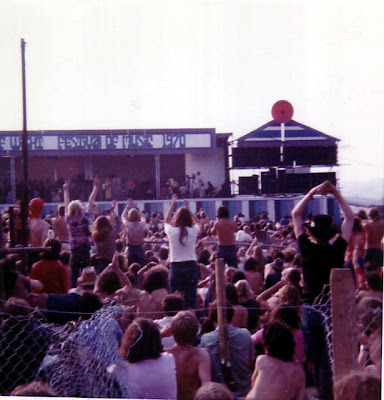 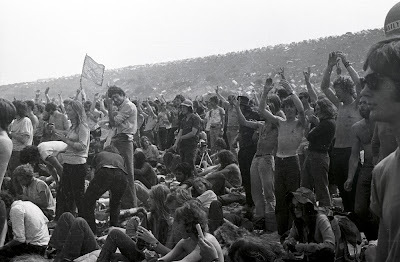 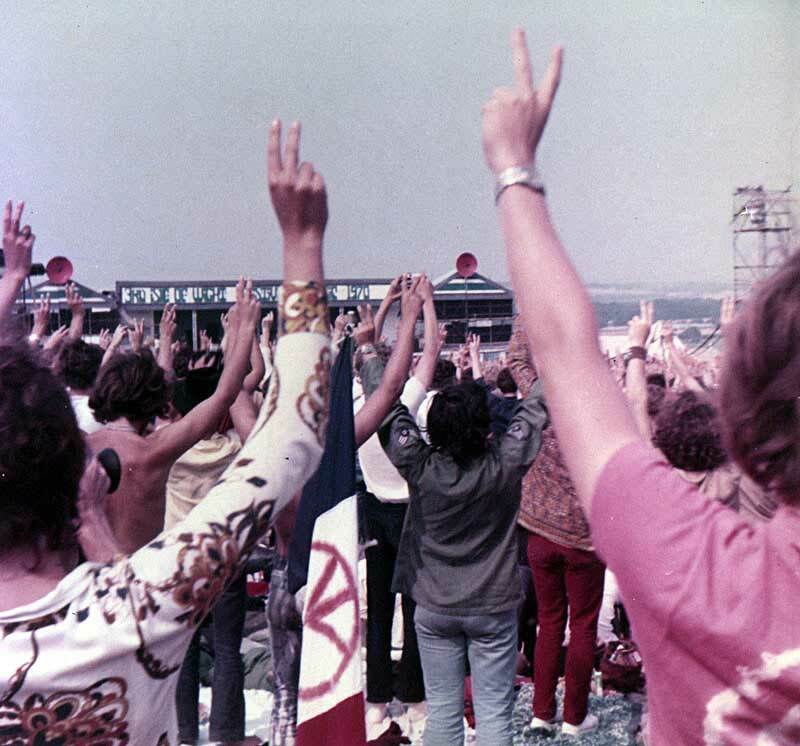 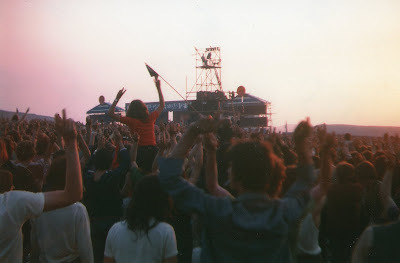 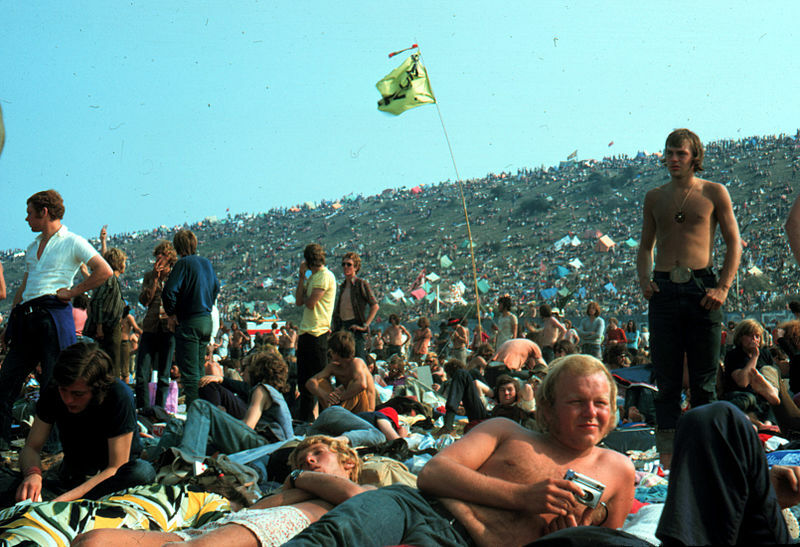 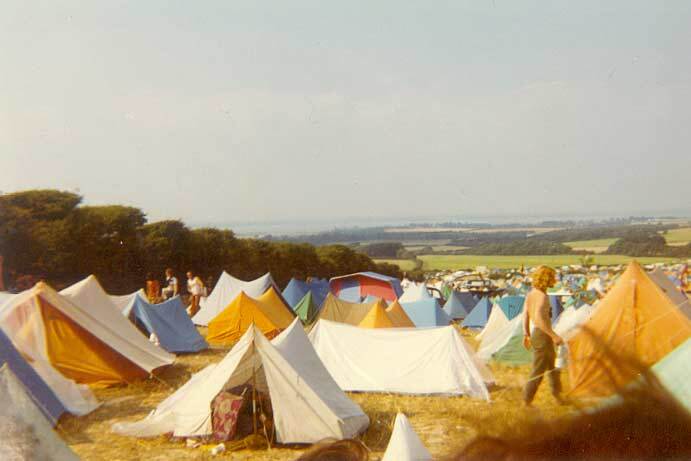 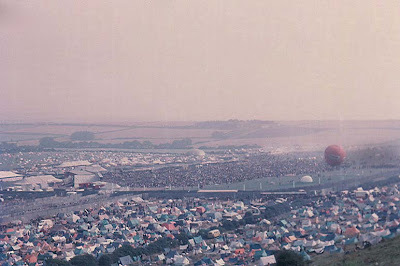 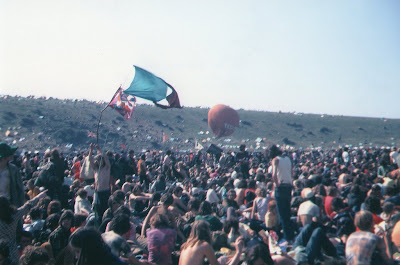 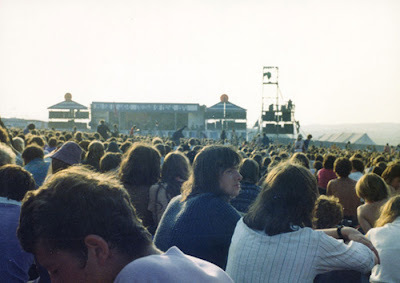 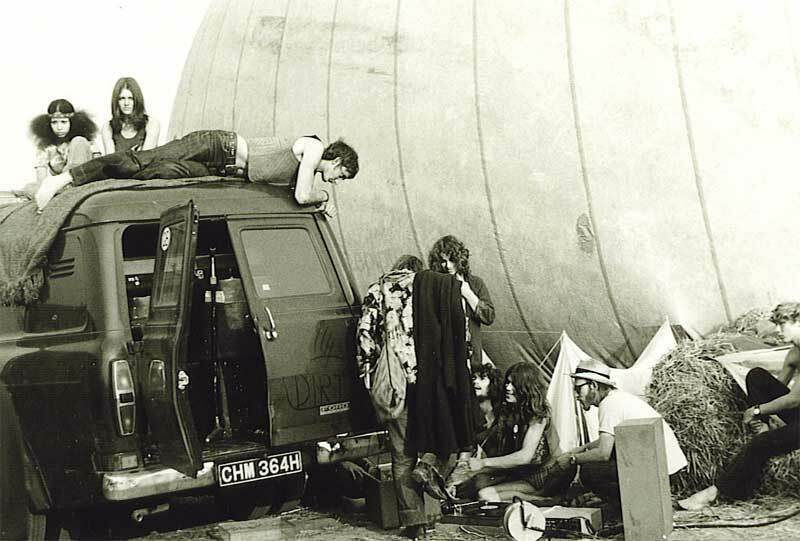 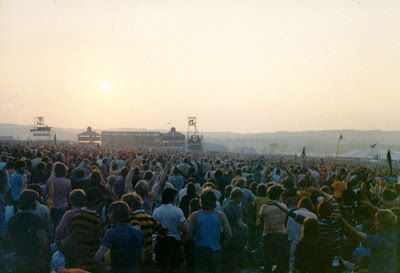 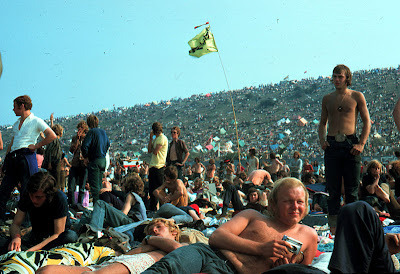 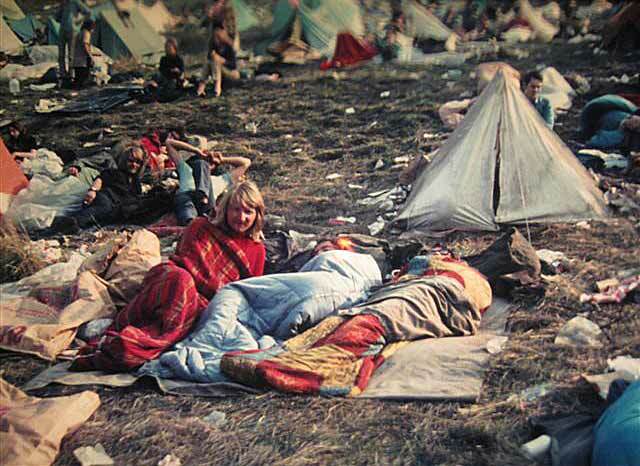 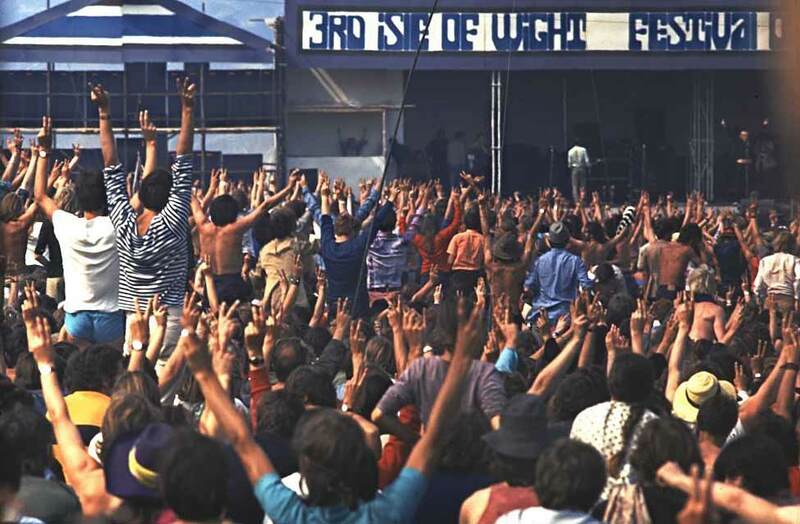 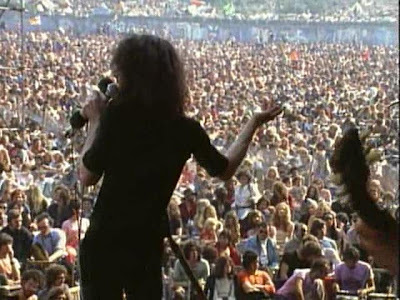 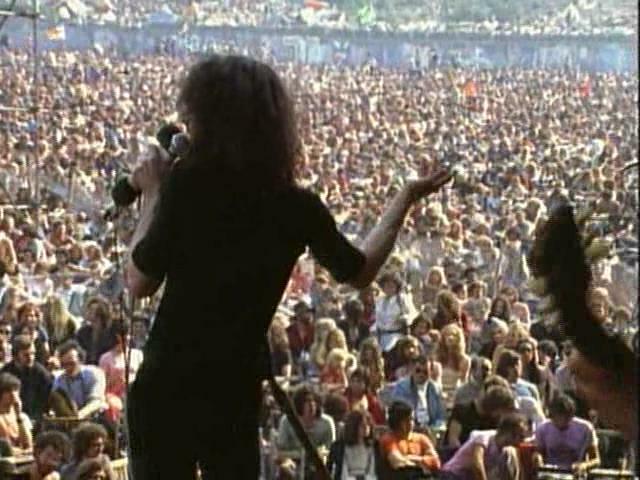 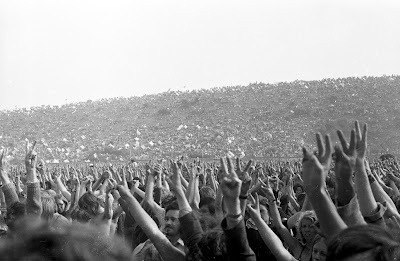 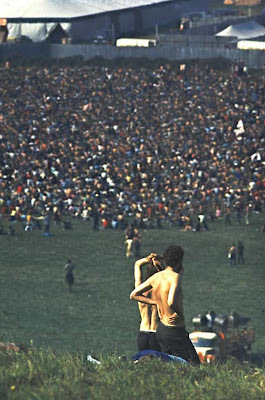 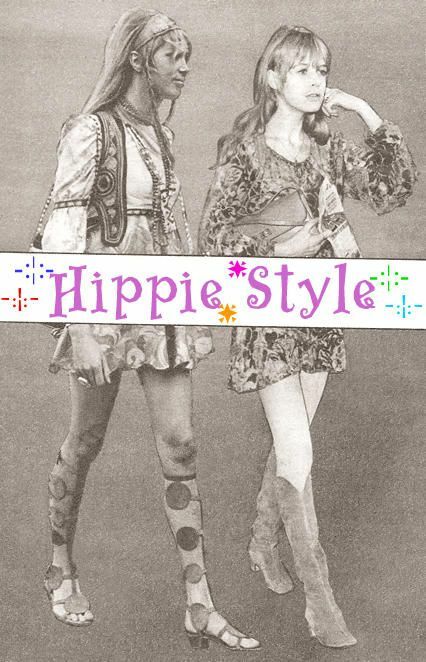 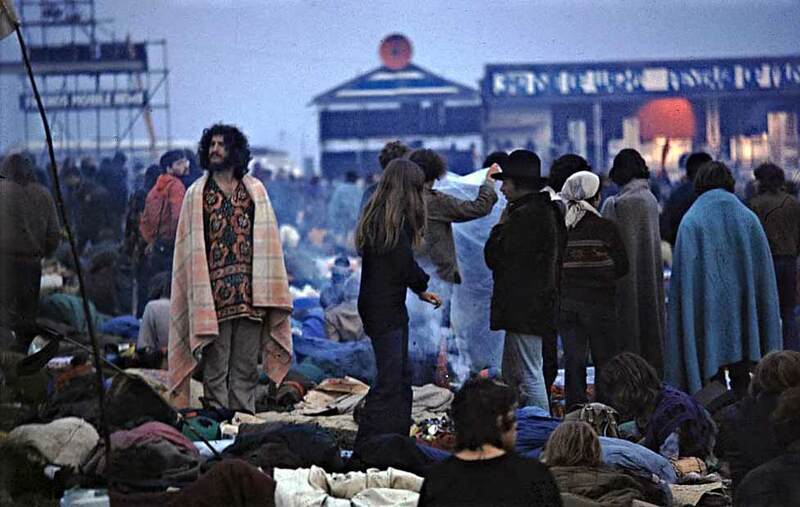 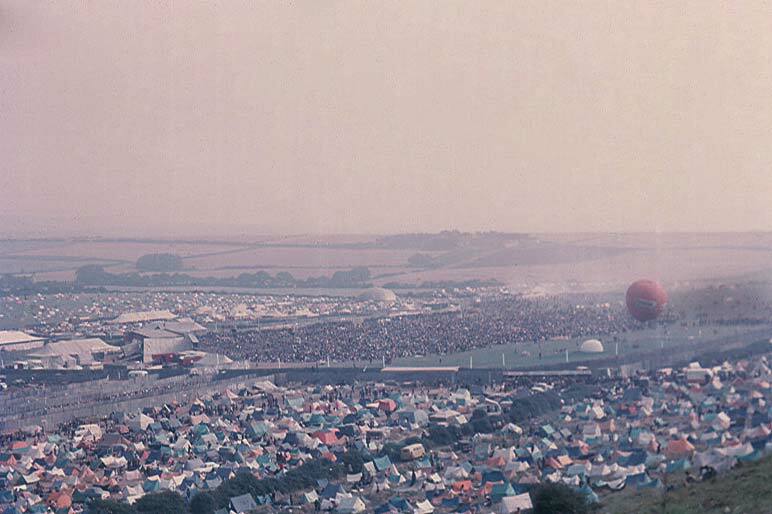 The 1970 Isle of Wight festival was the biggest concert that ever took place in the UK. 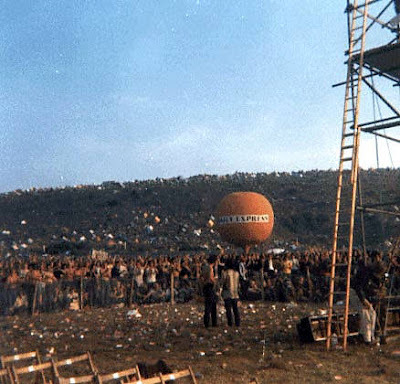 It was held at East Afton Farm on August 26 through August 31. 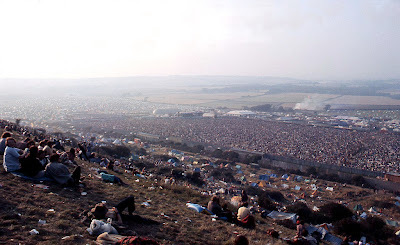 You could only travel by boat to get there. 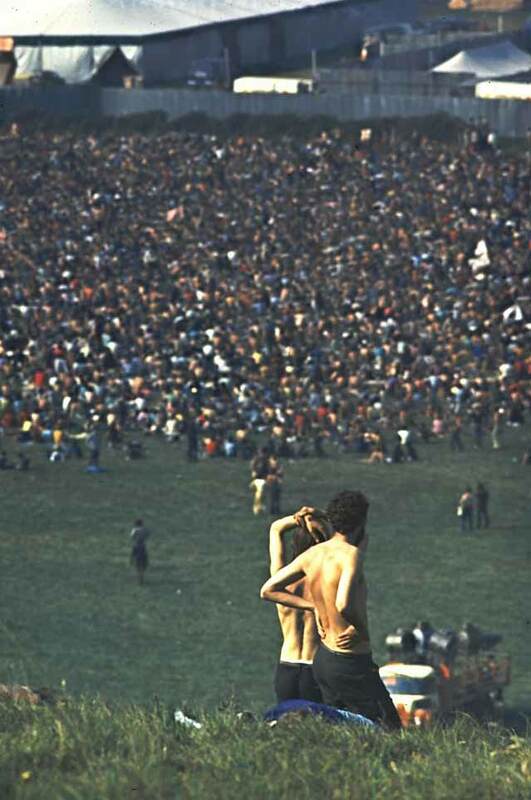 But that didn't stop people from going. 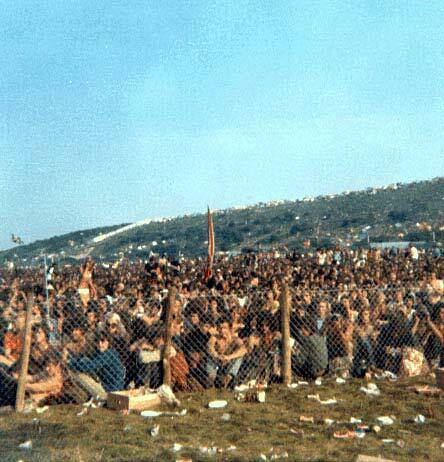 It was even bigger than the attendance at Woodstock, drawing in a crowd of about 600,000 people. 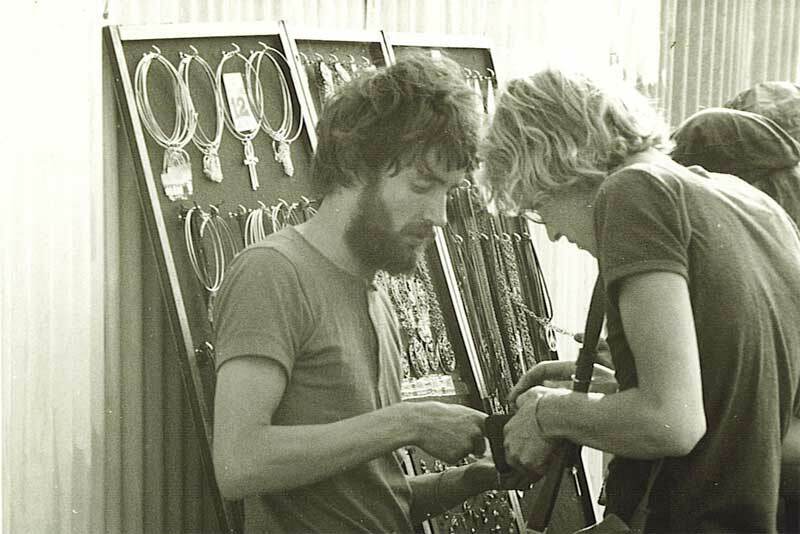 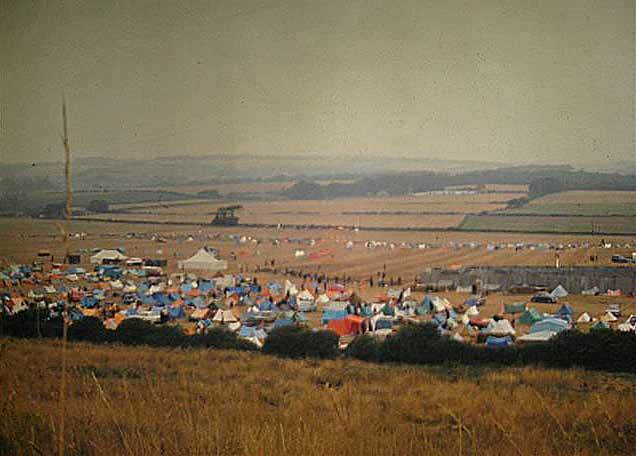 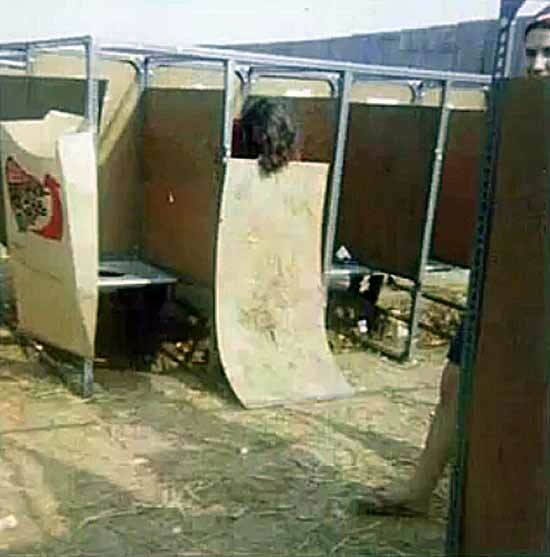 And unlike Woodstock the security were more strict at keeping people out of the festival who didn't pay for tickets. 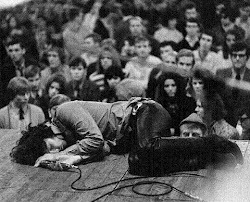 The promoters weren't gonna give in without a fight. 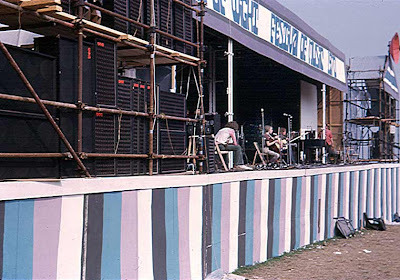 And often went onstage to inform the audience. 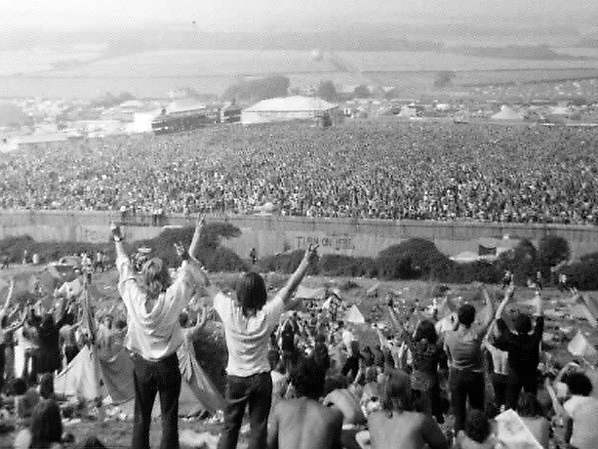 There were miles and miles of steel fences built around the farm to keep people out. 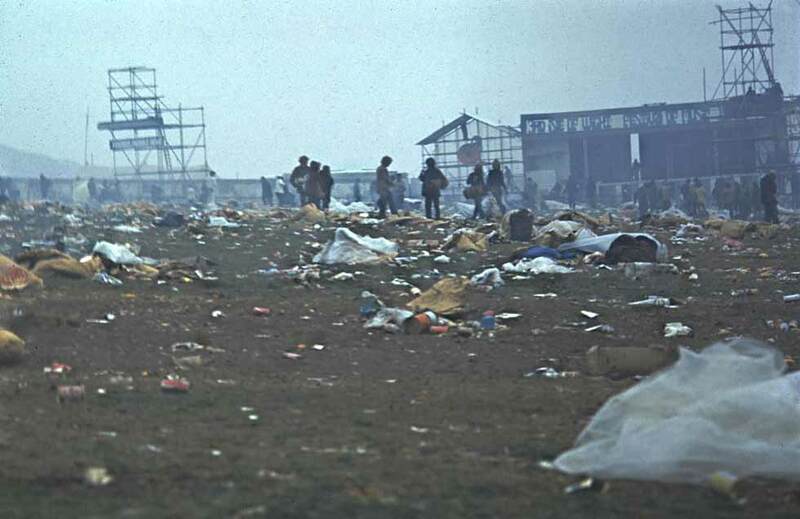 But that didn't help much cause some people just broke through the fences. And to add to that the site the promoters chose to hold the festival was right next to a hill that overlooked the stage so most people got a free show, watching it from the hill and camping out in tents. 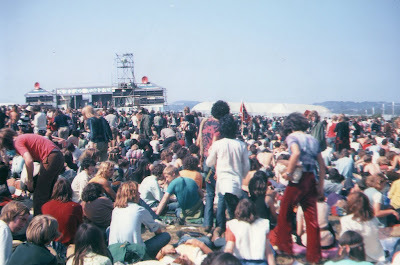 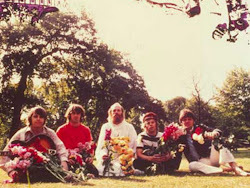 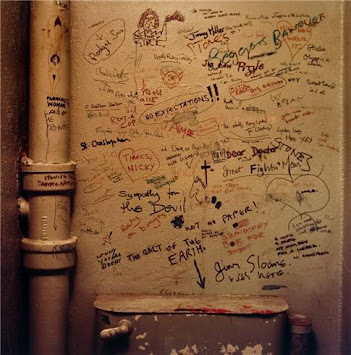 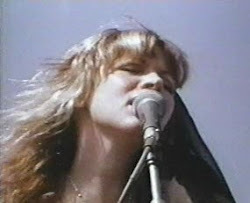 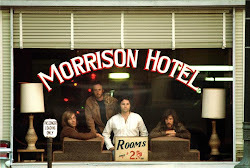 The performers included Jimi Hendrix, Moody Blues, The Doors, Joni Mitchell, Kris Kristofferson, the Who and others.